It’s been a busy week for ORC, racing all over the place! Last weekend saw the culmination of months of training for Jane Jackson who went up to the Lake District to take part in the 55k Ultimate Trail challenge. The race turned out to be over 59k with an incredible 6,304 feet of ascent. Jane successfully completed the race in 9:34:14 and was 1st FV60 which was an amazing feat in itself, before you even consider the gale force winds, torrential downpours and hail. Congratulations Jane on this massive achievement! Earlier on in the week Chris Turner took on the Boconnoc 5 Mile Race. Boconnoc is a country estate in South East Cornwall tucked down two miles of private roads. The race includes one major ascent and descent. The route was made all the more scenic by the large presence of deer on the estate! The course was muddy underfoot but proved to be good fun. Three ORCs went to Yelverton to run in the 6 Moor Miles race which was a one lap course of approximately 6 miles, in the picturesque surroundings of the Maristow Estate, across open moorland. First ORC to finish was Ray Lawrence who secured 1st MV 45, followed by Caroline Wilson and Jess Corcoran. Denise Horner took part in the Falmouth Sprint Triathlon, the fourth event in the Cornwall Triathlon Series 2016, which was comprised of a 750m swim, 23k cycle and 5k run. 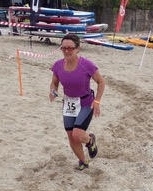 She had a great race and finished the course in 4th position in the female 50-59 age group. 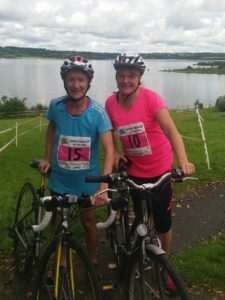 Lastly, but by no means least, Suzanne Gratton and Mags Jarvis went to Roadford to take part in the Roadford Novice Triathlon. This was Suzanne’s first triathlon and, in fact, only her second race of any type. For Mags it was her second triathlon but her first in open water. Suzanne placed 2nd in the 50-59 age group while Mags was 1st in the female 60-69 age group. Error: Error validating access token: Session has expired on Saturday, 20-Apr-19 03:20:42 PDT. The current time is Monday, 22-Apr-19 11:00:27 PDT.